How do I do this? Maybe you are in a position where you're wondering just how you are supposed to forgive someone else especially if they do not have any remorse for their actions. Perhaps this question has crossed your mind: Am I supposed to be a doormat? I can't keep letting them do this to me in the spirit of forgiveness. You're right. Or maybe you've wondered: How can I extend forgiveness and protect myself at the same time? This is an impossibility. 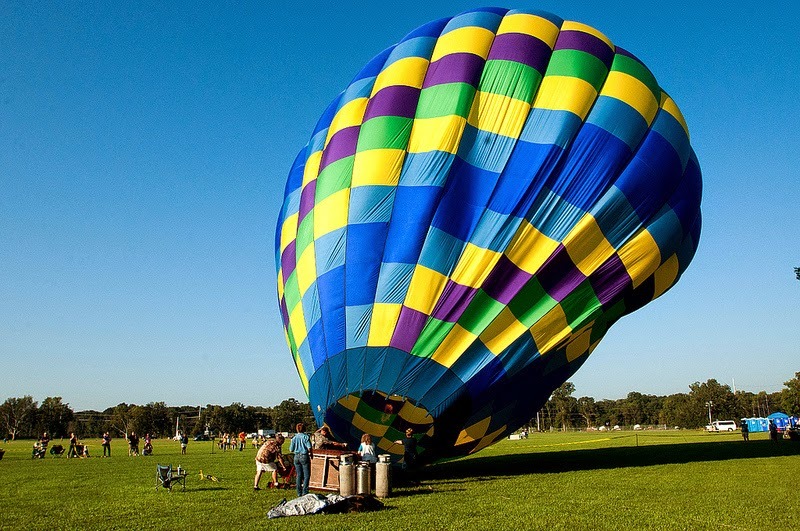 Forgiveness does not seem to get any further than the balloon we see pictured below and we find ourselves "stuck." Still stuck on the ground? 1. Remember how much you have been forgiven. If you have a personal relationship with Christ, it is always important to remember how much we have been forgiven. (Psalm 103:12) Psalm 103 is a wonderful reminder of the goodness of God and His forgiveness. 2. Release those who have wronged you to God. We see this taking place many times in the Psalms and we recognize these Psalms as imprecatory. For example, in Psalm 5 David asks God to hold the wicked guilty. David appeals to God who is perfectly just and holy to execute justice. If and when we utter such words before our Master, we, by implication, are seeking justice in regard to ourselves as well. We cannot ask for justice to be meted out in one area and not have it meted out by God in another. Releasing someone else to God's justice can be one of the most holy and humbling acts in which a follower of Christ can engage. 3. Pray for your wrongdoer(s). As we are all on this lifelong journey of forgiveness, this may be one of the most difficult things we commit to do out of obedience. We are commanded to love our enemies and pray for those who persecute us. (Matthew 5:43-45) Again, prayer for our wrongdoers, those who choose to persecute us, helps us to release them to God. We can trust Him to execute justice -- He has the final word! Remembering God's forgiveness allows us to forget our bitterness and anger and releases others to God's care!